We have been following the sad saga of Joseph Casias, a former Walmart employee in Battle Creek, Michigan. Casias, 29, suffers from a sinus cancer and an inoperable brain tumor. (He looks so much older than his years.) After 5 unusually successful years as a Walmart employee, he injured his knee on the job, after which he underwent a mandatory drug test. Casias has a prescription for medical marijuana (legal in Michigan). Inevitably, he failed the drug test. Walmart fired him. He sued for wrongful termination in federal court. He lost. Judge Robert Jonker found that while Casias’s use of marijuana was legal, Walmart was within its rights to terminate him. Nothing in the Michigan statute legalizing pot regulates private employment. 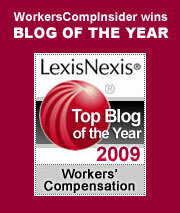 As we pointed out in a recent blog, the issue of legal drugs in the workplace is a gray zone of formidable dimensions. Employers will usually err on the side of caution, as the exposures for negligent retention appear to outweigh the pressure to accommodate disabled employees. Hence, Walmart wins. What is lost in the standard personnel procedures that identified Casias as a (legal) drug user and terminated his employment is a simple fact that may or may not concern Walmart. Casias was a highly motivated and valued employee. His work was exemplary. Workers like Casias are not easy to find, especially when the pay is marginal. It’s worth a little extra effort to hold on to them. By following their own rules to the letter, Walmart wins in court but loses on the selling floor. Even though states are showing some flexibility in their approaches to marijuana, legalization is no help to workers who have a prescription for the drug. These folks will routinely fail post-accident drug tests. As a result, any injury to a worker using medical marijuana will result in a termination. Zero tolerance, zero employment. We are not suggesting that states attempt to preempt the rights of employers in statutes that legalize marijuana. With so much at stake, with so many complex risk factors at play, employers must have the final say in who works and who is let go. We can only hope that employers use their powers – dare I say it? – compassionately. Did Walmart have an alternative? With his serious illness, Joseph Casias appears to meet the ADA’s definition of disabled. Walmart could have approached the dilemma through the ADA accommodation process. After Casias failed the drug test, they could have determined: first, that the drug was prescribed; second, that the drug use was not a factor in his injury; and third, that there have been no indications that his drug use has impacted his performance on the job. Having passed this three-pronged test, Walmart could have decided to “accommodate” Casias’s disability by waiving the drug test results and retaining him as an employee. Alas, in the world of huge corporations, the fate of one man just isn’t worth that much effort. Why bother being flexible when it’s so much easier – and perfectly legal – to show employees the door? You know the Walmart motto: Save money. Live better. Nothing in there about doing the right thing for the likes of Joe Casias. This entry was posted on Monday, February 28th, 2011 at 9:30 am	and is filed under Disability, Medical Issues. You can follow any responses to this entry through the RSS 2.0 feed. Both comments and pings are currently closed.